Effortlessly being able to build on their artful and brooding rock energy while also crafting a deeply reflective sense of social consciousness isn’t always an easy task for musicians. But the culturally contemplative quartet, All This Huxley, is powerfully doing just that with their upcoming five-track EP, ‘Home Stockholm,’ which is set to be released on July 5. Serving as their sophomore effort, following their 2017 debut eponymous album, the new indie alternative songs from the Philadelphia-based band continue their erudite message that was included on their first record. But they have also built upon the essence of their initial album, and continue to grow as songwriters and musicians, as they contemplate how they, and the world around them, influence each other in their maturing, particularly in how they interact with other people. The hypnotic, moody and blue-inspired entry, ‘Stockholm,’ which serves as the EP’s title track, launches the provocative and inspirational journey that All This Huxley embarks on for its latest project. Driven by euphoric guitar riffs, a strong bass line and enthralling drum beats that are reminiscent of the Red Hot Chili Peppers’ signature sound, the mid-tempo song features powerful and strong lyrics that contemplate how people relate to, and understand, each other. The tune also ponders the consequences people face when they’re manipulated in a trap that leaves them bitter. The title entry then delves into the release’s sophomore song, ‘Comrade II,’ which is the best, and most memorable, track on the EP. The sultry and infectious rock and soul-infused ballad explores people’s longing to be free from other’s watchful eye, and their desire to have some level of privacy. The track’s instrumentation is brighter than its predecessor, particularly in the acoustic guitar riffs and bass line, while the drums have a much more traditional upbeat indie vibe. 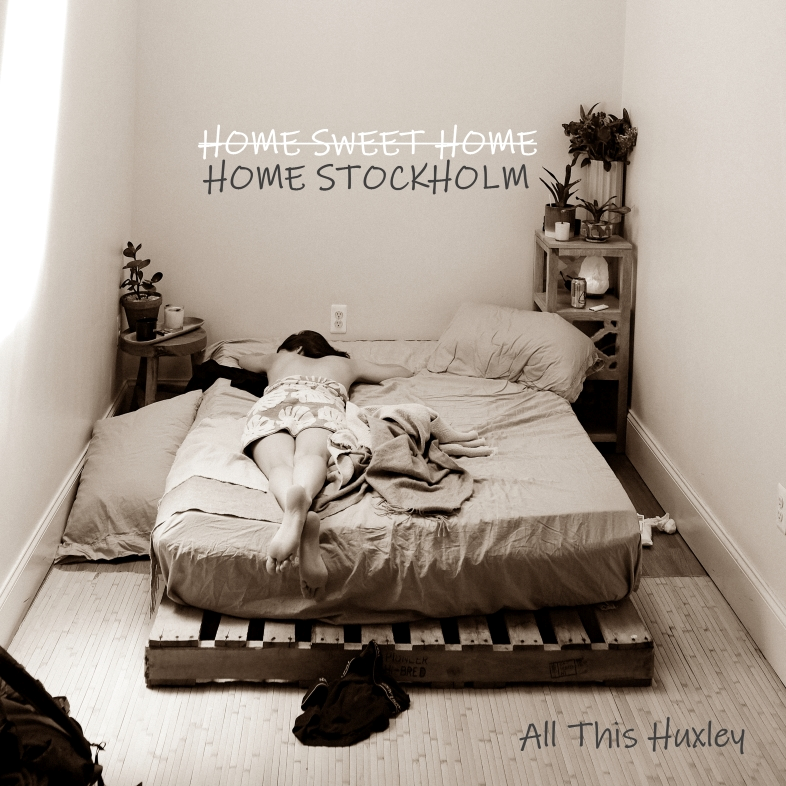 The more light-hearted vocals on the tune also sets a precedence for the singing on the rest of the entries on ‘Home Stockholm,’ as the group’s members croon about how people really have to work to get through their privacy barriers, in order to find out who they truly are overall. The emotional and reflective ballad then transitions into the punk-inspired song, ‘Dunkirk,’ which chronicles how people need shelter and protections once their lives start to fall apart. The stunning melody and swing tempo, which are driven by a soulful drum and sultry guitar, immediately illicit an evocatively emotional reaction, which enthralling promise that the track is enticing and gripping when its performed live by the quartet. The penultimate entry on ‘Home Stockholm’ is the socially observant rock tune, ‘One of These Things,’ which features a gripping David Bowie aesthetic. Driven in part by swaggering guitar riffs, the song is the quintessential anthem that defines who All This Huxley is as a band, both in structure and execution. With a rebellious rhythm that’s driven by a captivating bass, the group isn’t afraid to contemplate people’s changing in place in society.